The National Homeland Security Consortium, a “safety and security” entity managed by the National Emergency Management Association, and which consists of a number of professional associations (and elected officials) including the Governors’ Homeland Security Advisors Council, the National Sherriff’s Association, and the International Fire Chiefs Association, has just released a white paper detailing some of the key threats and vulnerabilities they believe the United States is facing, along with recommendations for national action. Climate Change — While determining the cause of this global phenomenon may be an important factor in slowing, halting or reversing the impacts, the Consortium is primarily concerned with the actions, policies and strategies that will be necessary to mitigate, respond to and recover from its consequences. Cyber Hazards — One of the most troubling aspects of this threat is the lack of a cohesive framing of the problem and the wide range of potential severities and consequences. Demands on Global Resources — The concerns of growing populations versus diminishing agricultural, mineral and water resources will present a wide range of cascading consequences and implications, potentially including mass migrations and civil conflict. Changing Demographics — Geographic location, age, ethnicity, education level, nationality, employment status, residency status and language are all examples of demographics that are constantly in a state of change both domestically and across the world. While change is constant, the implications of these changes to health, safety and security officials can significantly affect both policy and operations. Emerging technologies — Advances in areas such as social communications, synthetic biology, genetic manipulation, advanced automation, increased connectivity and computing power will certainly have grand societal benefits. However, we would be remiss if we didn’t consider the potential for accidental or intentionally malevolent applications as well. Violent Extremist Ideologies — The decline of one violent extremist ideology doesn’t mean the decline of all, nor does it prevent the emergence of new terroristic threats to the nation. Enduring attention, analysis and vigilance to this threat must be maintained. WMD Proliferation — This global hazard/threat requires an international effort. It also emphasizes, rather than diminishes, the need for a domestically prepared nation. Mega-Hazards and Catastrophic Cascading Consequences — Japan’s horrific experience reminds us of how truly catastrophic events can spread their consequences exponentially and globally. For both natural and technological disasters, it’s paramount that the homeland-security community and those they serve recognize the complex interdependencies, and consequent vulnerabilities, of our national systems. 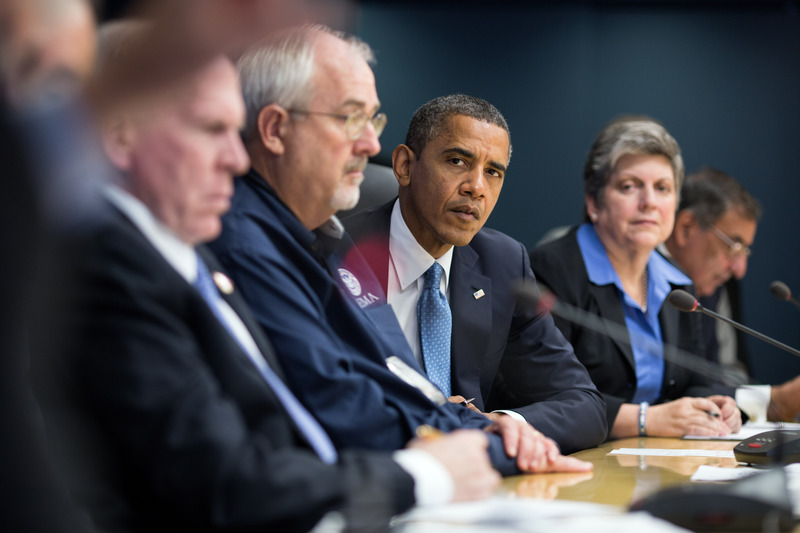 By Francesco Femia & Caitlin Werrell in climate and security on November 15, 2012 . I posted on this as well. A thought provoking report.